Night Rider Night Runner is back for 2018! Sponsored by Red Funnel and in Association with GP Sport, registration is now officially open! Enjoy an action packed, family friendly evening at the stunning Cheverton Down on the Isle of Wight, full of trail running and mountain biking to suit all abilities on Saturday 19th May at Sunset. Why not set yourself a bigger challenge by pledging to raise money for EMCT- our Just Giving page can be found HERE. Register before 31st March and receive Early Bird prices. Wild Camping facilities are available with evening entertainment for everyone to enjoy! 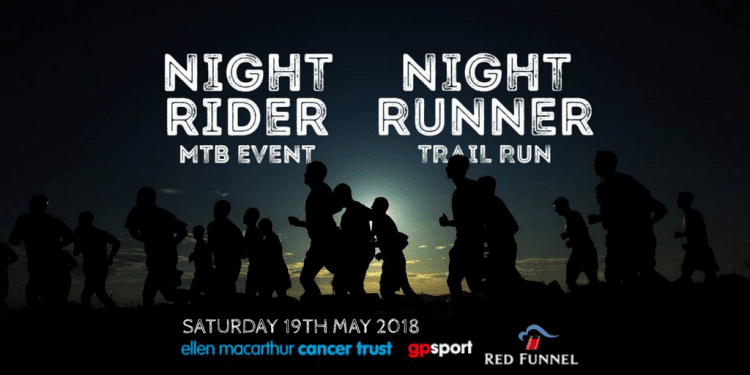 For more information and to enter this fantastic event, visit the official Night Rider Night Runner website by clicking HERE.